Last weekend saw the start of the One Tree Hill Festival, with a performance of works by Mozart, Holst and Mendelssohn from Southwark Sinfonietta - but fret not! There are plenty more events for you to go along to. 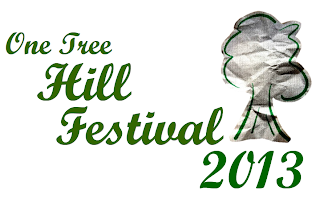 The second One Tree Hill Festival runs from 28th April to 19th May and has a wonderful mix of music and performance. As well as their Sunday services, which have a theatrical feel, they will be joined by West End singers performing excerpts from Les Miserables, using the story to explore different responses to God. After the success of previous musical theatre concerts at St Augustine’s, local and West End singers present an evening of songs from popular British and American musicals. Directed by former West End performer and local vocal coach Lisa Olsworth-Peter the concert will inspire and entertain as we listen to an array of well loved tunes. Gilbert Roland, renowned harpsichord soloist presents a programme of music for harpsichord by Domenico Scarlatti, G F Handel, Francois Couperin and Padre Antonio Soler. An evening of toe tapping band favourites from the popular Lewisham Concert Band. Founded in 1967 and conducted for many years by the late Joseph Proctor, the Lewisham Concert Band soon found fame for its numerous BBC Radio 2 broadcasts during the 70s and 80s on Friday Night is Music Night and Listen to the Band. Today, under the musical direction of Leslie Lake, it is still one of the South East’s most highly-regarded wind bands and consists of professional and amateur musicians based in London and the Home Counties. Opera Bohemia, Scotland&apos;s dynamic professional opera company, presents Giacomo Puccini&apos;s romantic tragedy La Bohème. Rising Scottish star Catriona Clark leads a cast of emerging young artists in the role of Mimi, the young seamstress, whose failing health can’t prevent her from falling in love with the charismatic poet Rodolfo, played by Alistair Digges. This energetic and youthful production, accompanied by violin and piano, captures all the emotional highs and lows in Puccini&apos;s romantic score; from playful banter to the rush of first love, to the devastating pain of heartbreak and loss. Sung in Italian with English surtitles, this critically acclaimed production promises to be a memorable night for opera lovers and newcomers alike. Under the direction of Alistair Digges, this popular choir made up of parents, staff and friends of Fairlawn Primary School in Honor Oak Park return once again for a wonderful evening of fun summer music. Proceeds will be split between ‘The Ahoy Centre’ and St Augustine&apos;s Church. A family craft activity morning for the young and young at heart to make decorations for the One Tree Hill Festival celebration service on 19th May. Based at the Liturgical Design Studio at Holy Trinity Centre (www.holytrinitycentre.org.uk), all materials will be provided and all skill abilities welcome. Parents and carers are asked to remain with their children. Join the Mock Tudor Band as they take a musical journey through time from rollicking Tudor dances to regal Baroque masterpieces. As the festival concludes you are invited to celebrate and give thanks to God for our local creative community. It is also the day we celebrate St Augustine and the Holy Spirit. There will be a drinks reception after the service which all are welcome to attend which will also be an opportunity for us to say thank you to those who have given financially towards our living heritage campaign to address the tower and high stone work which is now complete. Ed Olsworth-Peter and all the team at St Augustine&apos;s look forward to seeing you.